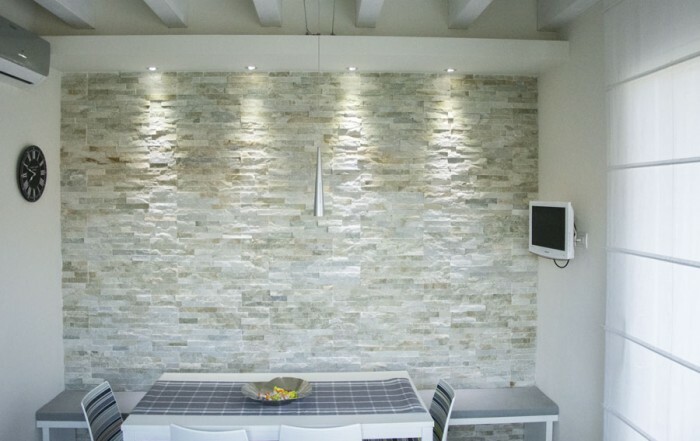 Internal cladding of a wall in a private house. 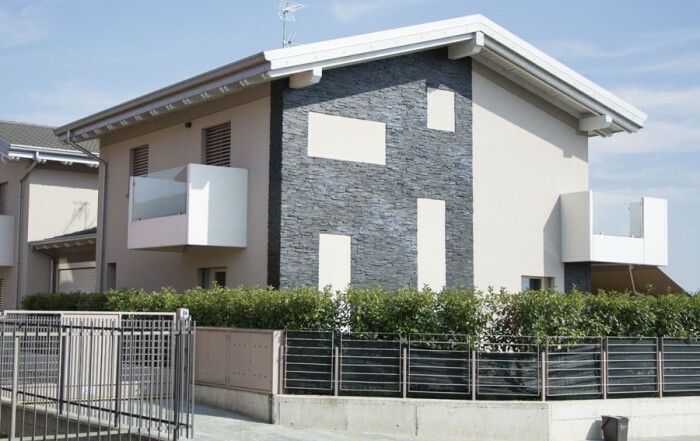 Internal cladding of a wall in a private house in Chiuduno (BG) realized with D-Stone Whiteice – cm 15x60x2/3. 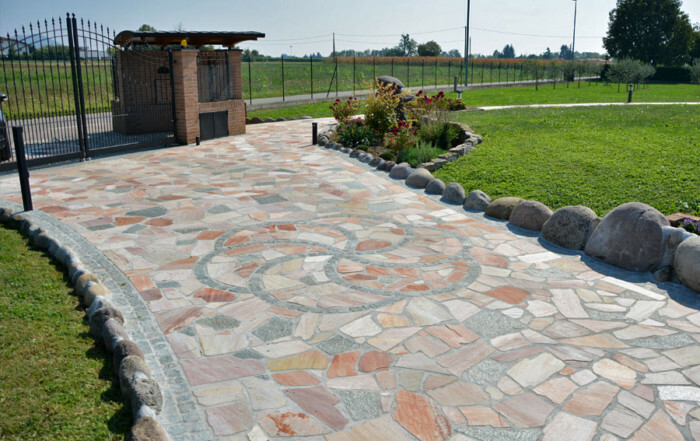 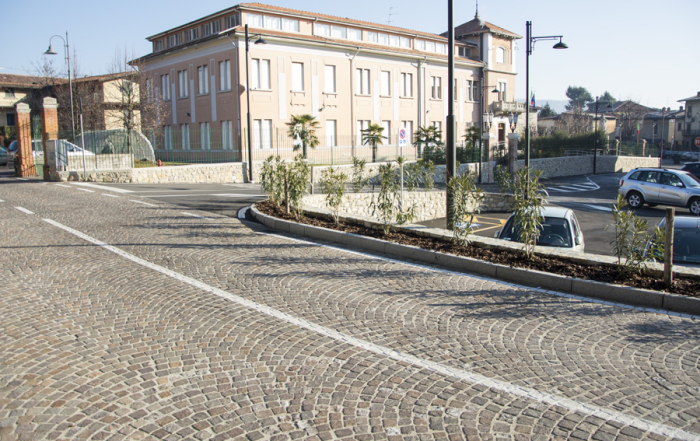 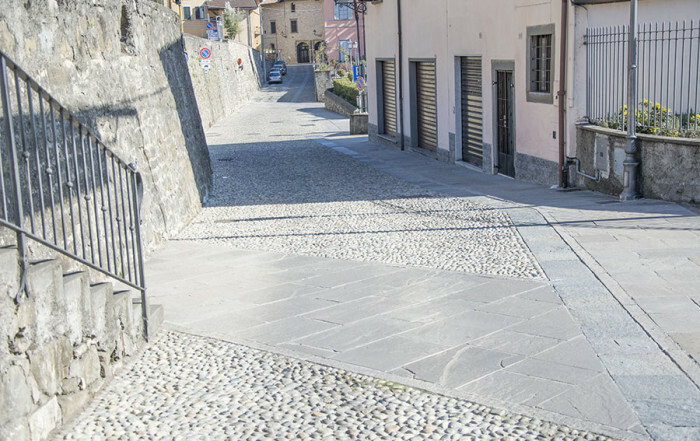 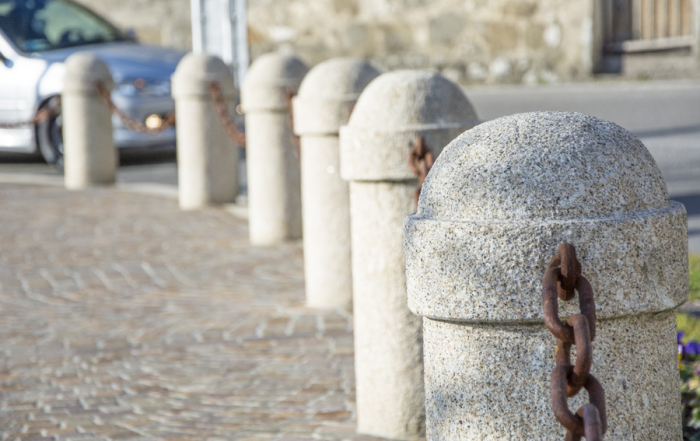 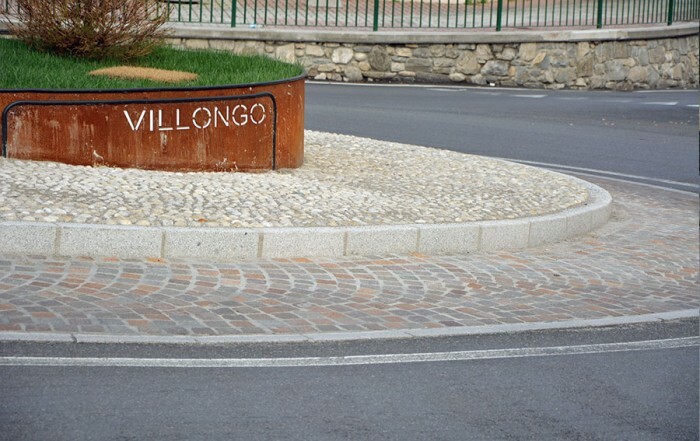 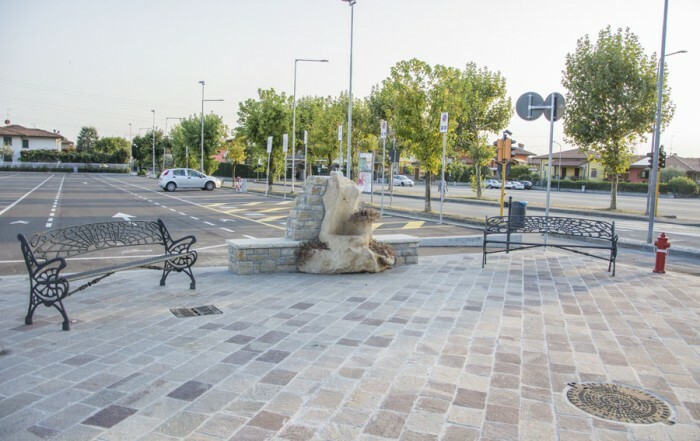 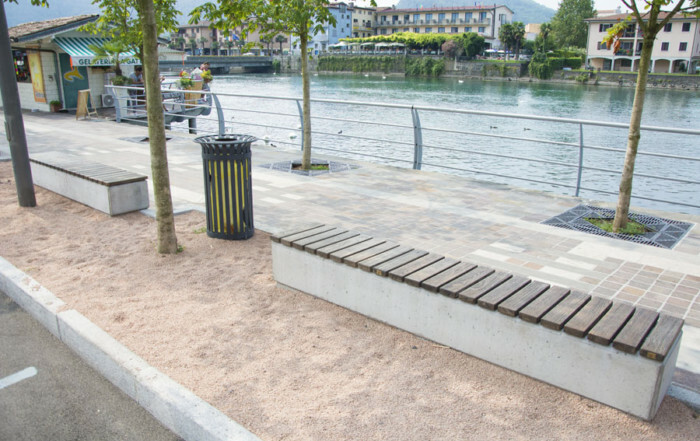 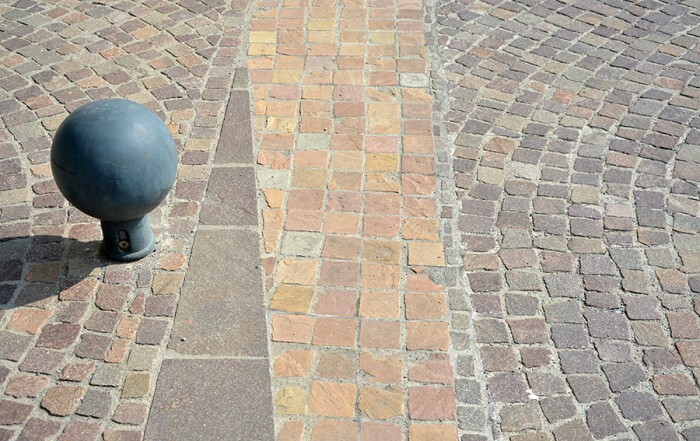 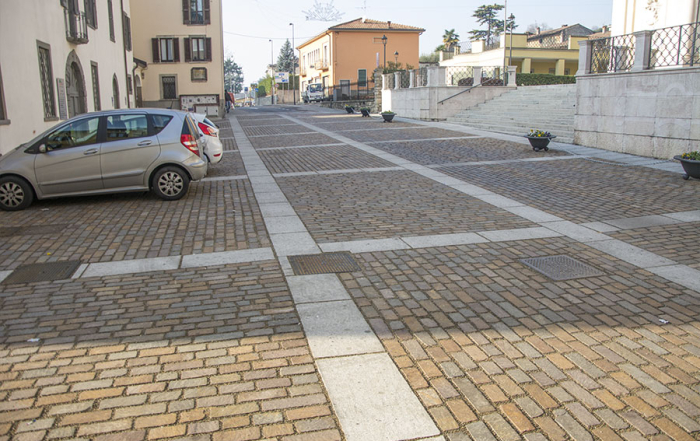 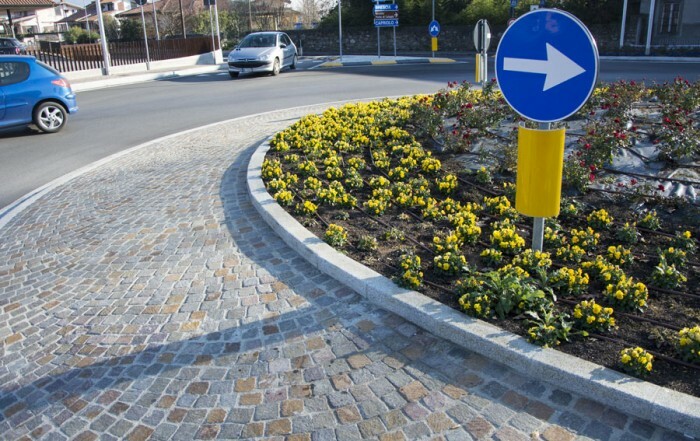 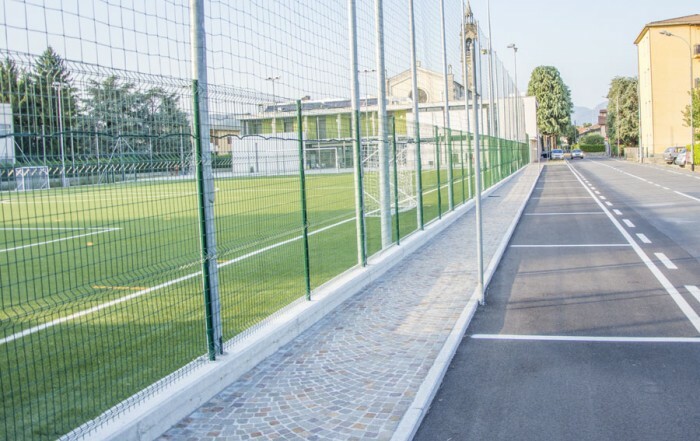 Castellini Road in Tagliuno Pavings realized with Mixed-violet Trentino Porphyry cubes. 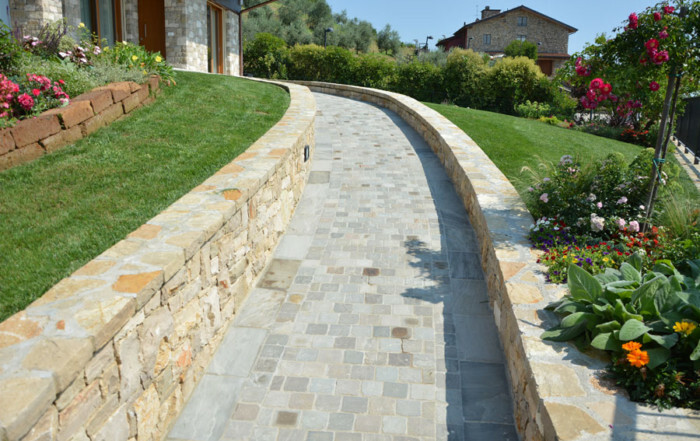 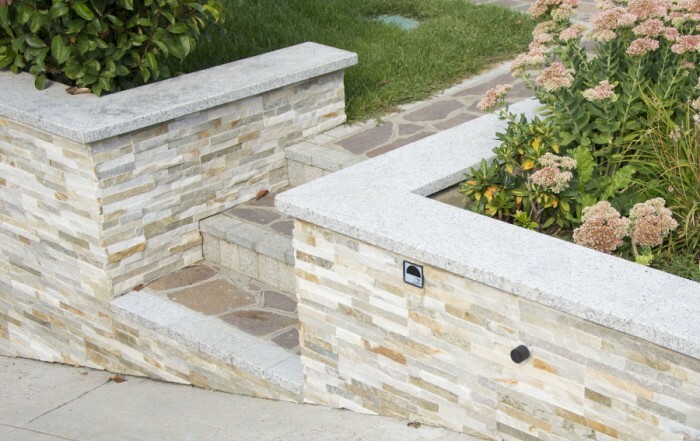 Sidewalks realized with sawn and fine-picked Grey Extracee Granite kerbstones with straight chamfer.